In 1891 plans were made to erect a new city hall on land donated by P.B. Cornwall after the towns of Whatcom and New Whatcom (formerly Sehome) consolidated. After a contract of almost $40,000 was given and the excavation had begun, a newly elected city council decided to change the building's location. The location of the initial site was determined to be above an old mining tunnel. 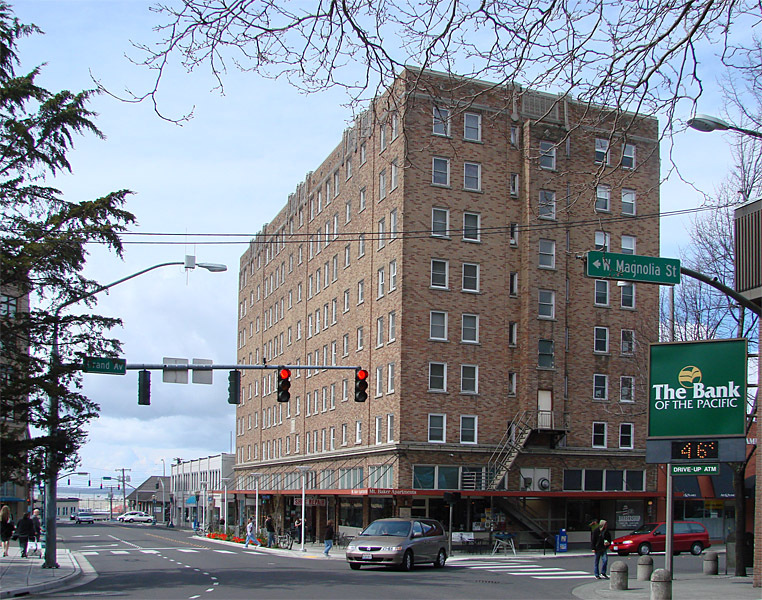 Henry Roeder sold the city four new lots with a great view of Bellingham and Bellingham Bay for $5,000. 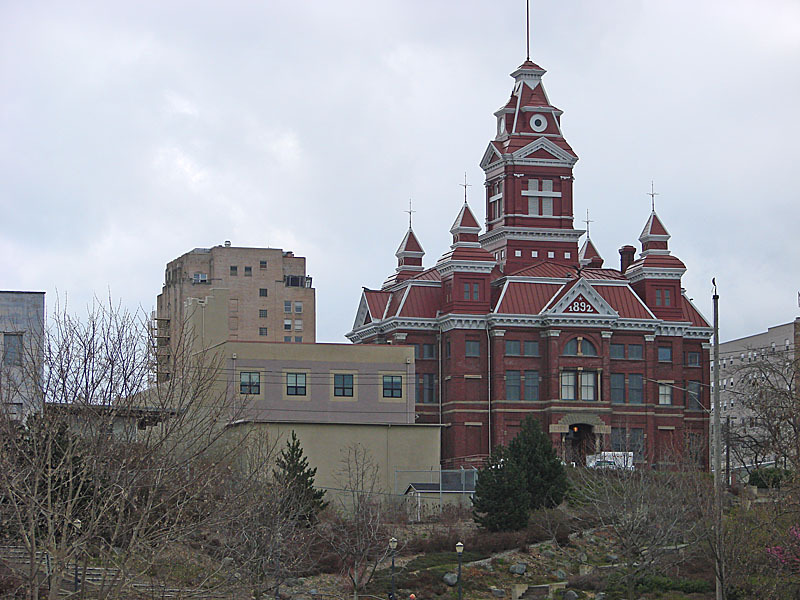 Whatcom City Hall was designed by local architect Alfred Lee in the Second Empire style of Victorian architecture, currently one of this style's most exquisite example in the Pacific Northwest. This building epitomizes the general characteristics of this French inspired style, which are tall, bold and purposely three-dimensional. Some of the design elements are also an eclectic mixture of the Queen Anne and Romanesque Revival style. 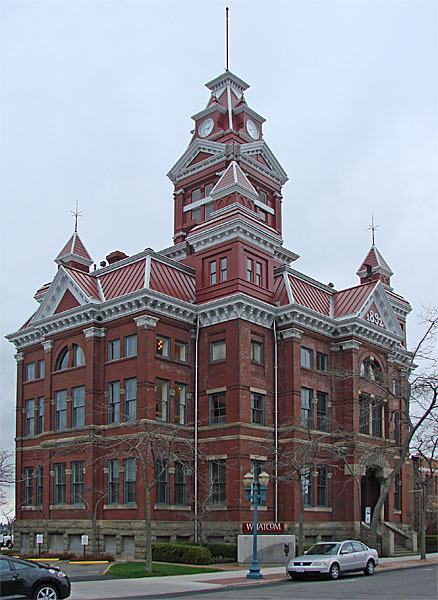 The Whatcom Museum building includes a high mansard roof, classical columns on either side of the main entrance, and a prominent, central bell tower. 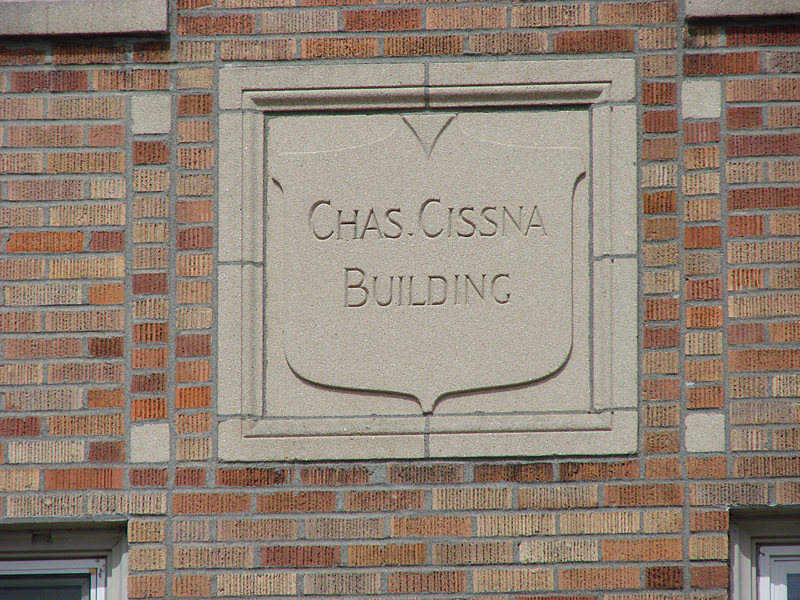 The Museum's exterior incorporates red brick with gray Chuckanut sandstone. The interior utilizes a variety of woods such as cedar for the original doors and balcony railings and maple for the first-floor paneling. 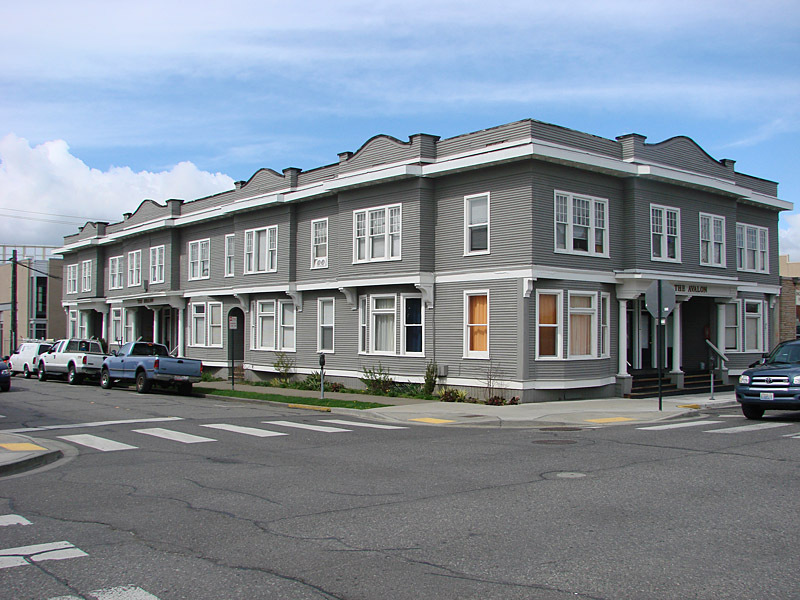 The Whatcom museum building is grand in scale with three stories, a full basement a large attic, and four matching cupolas on each of the corners. The stunning architecture of the city hall has made it the city's jewel for years and a prominent feature of the city skyline. 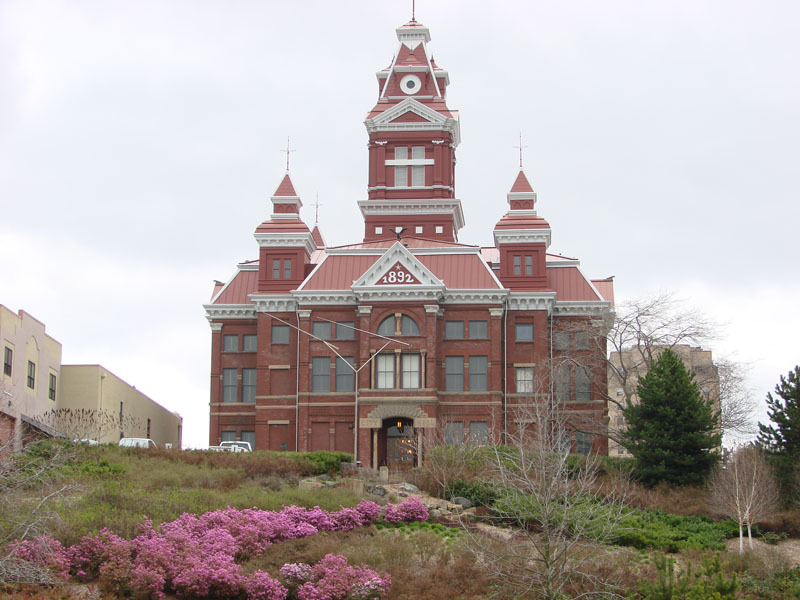 The first city council meeting was held in the new building on May 8 of 1883. The first piece of legislation enacted was an ordinance to prohibit cows from walking the city streets at night. 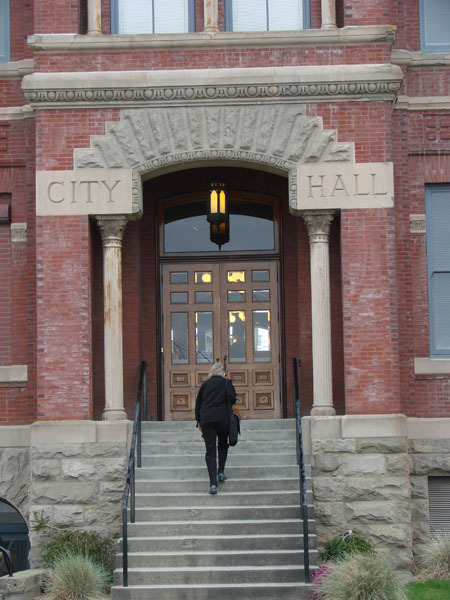 In 1903 the city of Whatcom grew by merging again, this time with Fairhaven, and the building became Bellingham City Hall after the renamed city. The city government continued to work out of this building until a new city hall was built on Lottie Street in 1939. 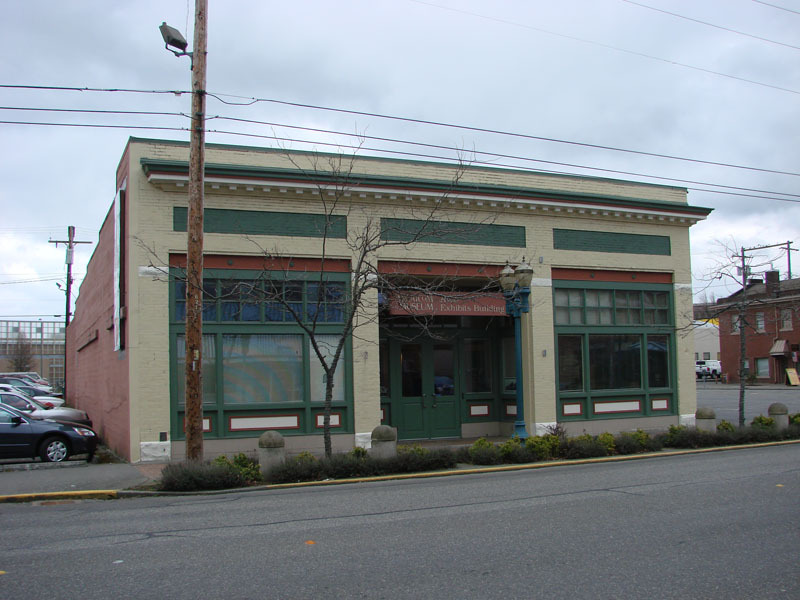 The Victorian building was then converted to the Whatcom Museum of local history and art. Poor wiring was the cause of a fire that ruined the roof, the bell tower and one of the cupolas in 1962. The bell is now on display near the parking lot on the West Side of the museum. 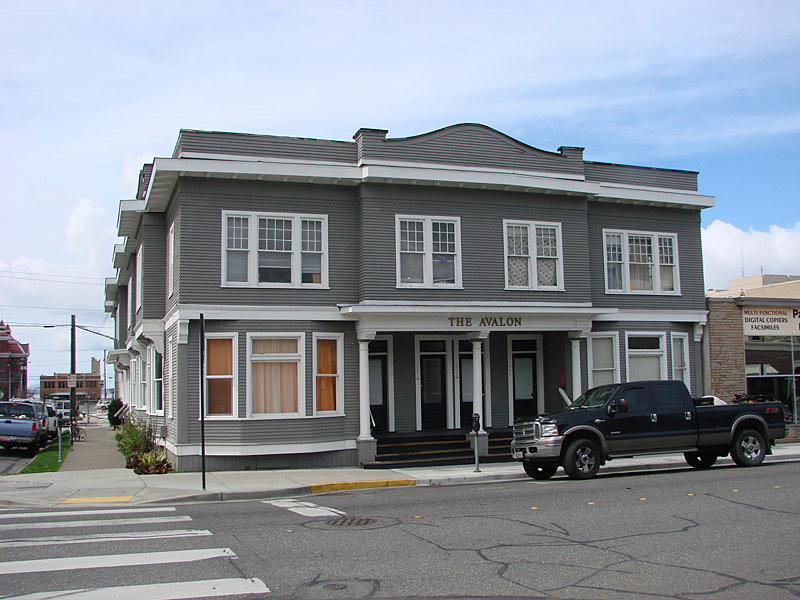 The Whatcom Museum Society raised the funds needed to completely restore the building. The interior was slightly altered for more efficient exhibit space, but the original courtroom was left intact. 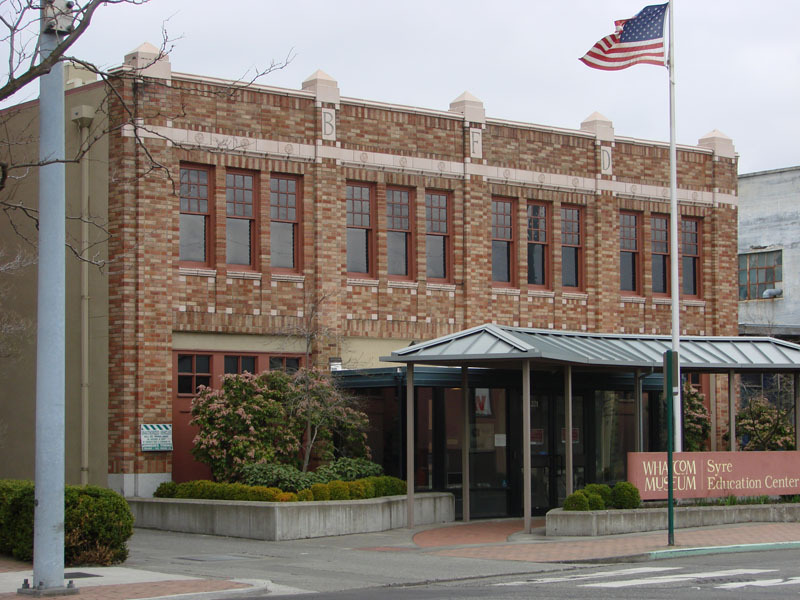 Local architect George Bartholik completed the restoration in 1968 and, with periodic maintenance, the Whatcom Museum continues to be the community's pride. The Whatcom Museum of History and Art is among the finest small museums in the United States. 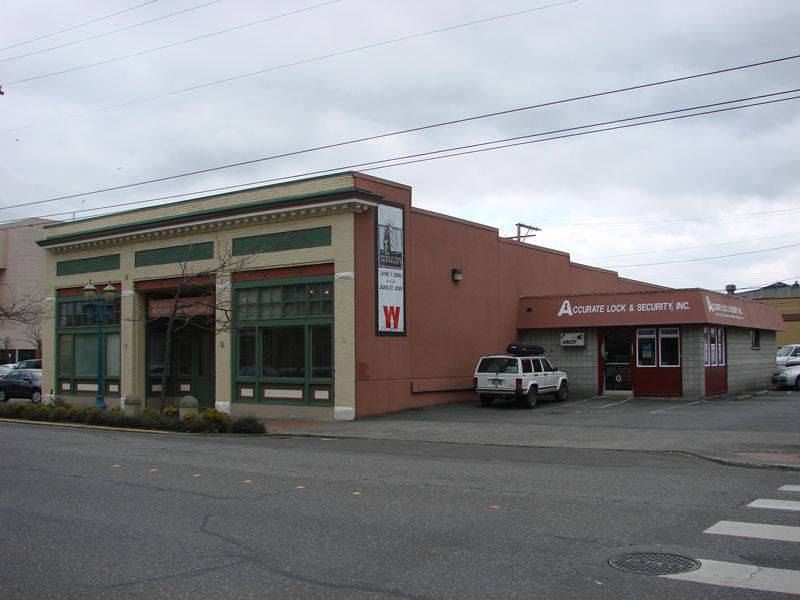 The Whatcom Museum was placed on the National Historic List in 1972, recognizing its national significance.